This is the tenth post in the series “Engineering in an Age of Limits”. We are facing limits in natural resources, particularly oil; our finances (money seems to be increasingly disconnected from actual goods and services); and the environment as we continue to dump waste products into the air, the sea and on to land. Engineers tend to view the world in terms of objective facts and calculations. They are comfortable with the view of the world outlined in The Mechanical World View. But, as discussed in Four Strands, the reality of the world that we live in is that most people react to discussions such as those posted here with emotion — usually a negative emotion such as denial, fear or anger. Denial is not just an individual trait — it is a reaction sometimes exhibited by large organizations. To illustrate this point I would like to think through some of the comments made in a recent speech by Rex Tillerson, CEO of ExxonMobil, and hence one of the most powerful and influential individuals in the oil business. Before doing so I need to point out that, as a process safety and process risk professional (see my site at Sutton Technical Books), I have worked as a consultant and team member with many of the world’s largest oil companies, including ExxonMobil. These companies have a total commitment to safety, with results to match. And ExxonMobil is a safety leader. I will illustrate this leadership, specifically involving Mr. Tillerson, in the next post when we discuss the Blackbeard (non) incident. Given this commitment to safety, and given that these companies have a very good grasp of the concept of risk, it is a puzzle that they seem to be in such denial regarding global warming and other elements of the Age of Limits. After all, could they come to grips with the changes that are occurring they may be able to identify business opportunities that will take them into the next decades. Climate models that seek to predict the outcome of rising temperatures “just aren’t that good,” Tillerson said, reiterating a position he has publicly advocated at least since his promotion to CEO in 2006. 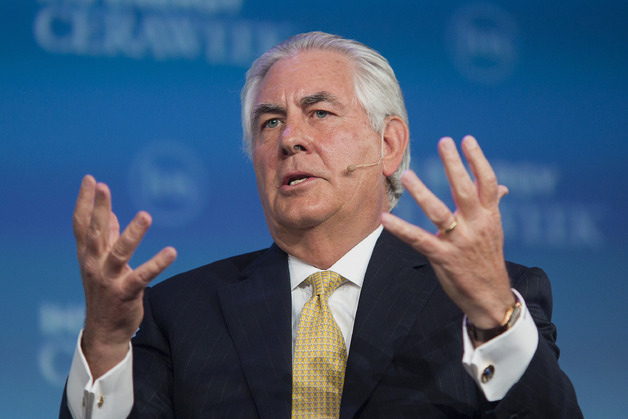 The company is wary of making efforts to reduce emissions that may not work or that will be deemed unnecessary if the modeling is flawed, Tillerson said. Let us unpack the above statement to see how such a large and important company is managing denial. There is widespread scientific consensus that human activity is causing climate change . . . The reality is that the models are good — scientific uncertainty will always exist. But if there is one group of people that are used to making decisions on limited and conflicting data it is oil company executives. Whenever they decide to drill a well; there is always a chance that they will hit a dry hole. In fact it is likely that the climate models are a good deal more accurate than many of the models that oil industry uses in its business. Moreover, having worked in process risk management for companies such as these I know how well they handle risk and ucertainty in other business areas — these are the waters in which they swim. Intriguingly, the comment that “solutions will present themselves” aligns with one of the major tenets of this blog. In the year 1712 Thomas Newcomen invented his steam engine because the people of that time, just like ourselves now, were faced with a dilemma. Their dilemma was to find a replacement for the forests that had declined; our dilemma is to find a new way of living given that we are bumping into resource, environmental and financial limits. But the solutions did not really “present themselves” in the manner that Mr. Tillerson would seem to indicate. They were identified and developed by motivated individuals who realized that, in the words of the Monte Python, And Now for Something Completely Different. Newcomen and his successors recognized that brand new solutions were needed — the old models were not working. In modern parlance they introduced “disruptive technology”. Mr. Tillerson’s comment could be interpreted to mean, “solutions with present themselves to ExxonMobil”. This is a risky assumption. In his statement, Mr. Tillerson appears to conflate science with engineering. But they are not the same. Scientists are not expected to “deal with adversity”, or with anything else for that matter. Their responsibility in this context is to develop models to do with resource depletion and climate change that accurately reflect the observed data and then to make sensible and defensible predictions. Engineers, on the other hand, are expected to take those models and develop technology that can address the problem at hand. In fact the development of new technology is really a three-step process. The first step, as discussed in Peak Forests, is to develop an intellectual framework (in their day this was done by men such as Francis Bacon, René Descartes and Isaac Newton who created the ‘Mechanical World View’). The next step is to develop technology — in their case the steam engine. The third and final step is the development of explanatory science (such as a theory which explained why Newcomen’s engine could never lift water more than 32 feet). We, in our day, seem to be still at the first step. Many writers, most of them on the Internet, are critiquing the way we run things now to the point where is all becomes rather repetitive and tedious. I am more interested in trying to figure out what I will call an Entropic World View that replaces the Mechanical World View might look like. History books are littered with stories of companies that failed to adjust to new circumstances and eventually went out of business. Kodak is a well-known example — its failure to react quickly and thoroughly to digital technology led to its rather sudden demise. In 1900 they introduced the Box Brownie camera — “You push the button, we do the rest”. Twice George Eastman bet the company on change — once when he moved out of plate photography to rolls of film, and later when he moved to color, even though the initial quality was not that great. In 1975 a company employee invented the first digital camera. That’s when things started to go wrong. Rather than bet the company once again, management played a defensive strategy and eventually lost the game, going out of business in 2012. 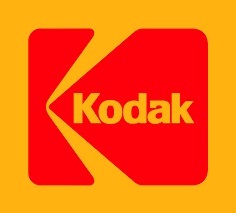 Various business journals have analyzed the reasons for Kodak’s failure to adapt. They tend to boil down to just a few precepts. Top management never fully understood how the world around them was changing. Even when they did respond they did so half-heartedly, always trying to enhance the existing film business with digital rather than starting a brand new business. They were not willing to dump the ecosystem of Kodak dealers that was central to their old business model. Above all, management was never willing to gamble the company on new technology in the way that George Eastman had done. It is useful to use the Kodak story as an analogy for what the oil companies are facing now, and there certainly are some parallels. There is, however, one big difference. Kodak was faced with a clear and present disruptive technology: digital photography. The oil companies are faced with a situation where there is no single technology to replace what they are doing now. Instead, they are looking at a situation where the old business model is starting to crack but there is no new technology waiting in the wings. My comments so far could be construed, with some justification, as being critical of ExxonMobil’s response to climate change — and by implication, most of the other large oil companies. There is nothing in Rex Tillerson’s speech to show that he is looking to transform ExxonMobil in the manner that George Eastman did on at least two occasions with Kodak. However, as already noted, oil company culture is probably more risk-oriented than that of other industries. Also, over the last twenty years or so, their culture has developed a profound understanding of safety management — and the results show it. This indicates to me that these companies have demonstrated a willingness not only to change culture, but to do so effectively. They have also placed the safety ethic above the profit ethic. All of which augurs some hope for the future. More on this in the next post when we discuss the Blackbeard (non) incident.